Charlotte Lucas has accepted an unexpected marriage proposal, and while recovering from the shock, Elizabeth Bennet agrees to Charlotte's request that she act as bridesmaid at her impending wedding, and while Charlotte was never one to be a romantic, Elizabeth takes it upon herself to bring some romance to her friend's wedding day. While at Rosings Park for the wedding ceremony, Elizabeth comes face to face with just the person she was hoping to avoid. Invited by Lady Catherine, and much to Elizabeth's dismay, a sullen Mr. Darcy is a sudden fixture at Rosings Park and Elizabeth is unable to avoid him any longer. 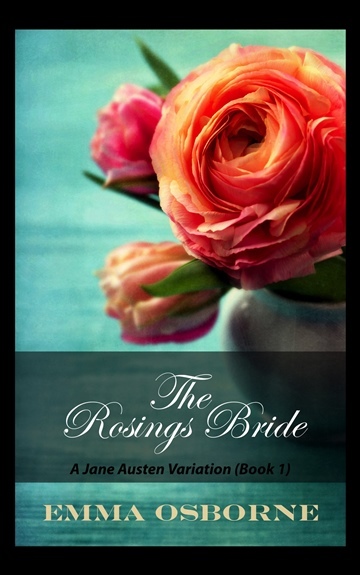 The Rosings Park Bride is the first installment in the 4-book Passage to Pemberley series of short novellas and is a clean historical romance suitable for all lovers of Jane Austen's Pride and Prejudice. Emma Osborne is an emerging author of historical romance novels and novellas. She enjoys the changing of fall leaves, exotic tea, and cats.